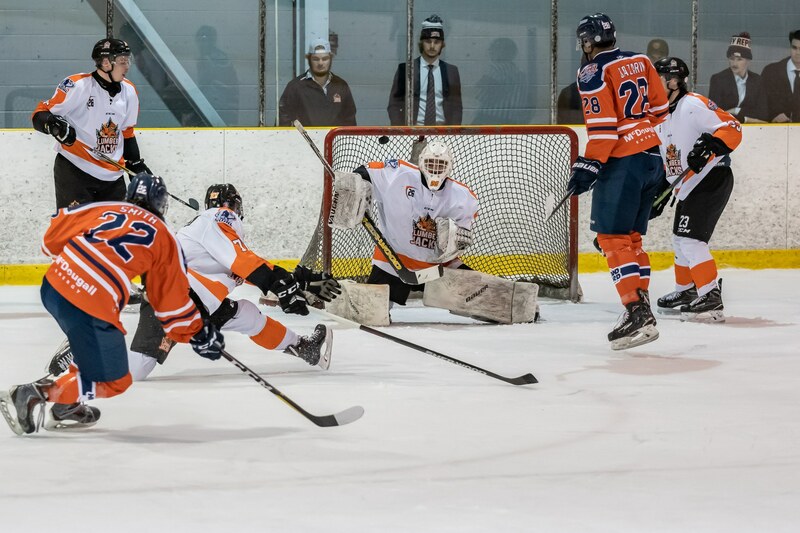 With the west division Soo Thunderbirds down 3 – 2 in the 2019 Copeland McNamara Cup Northern Ontario Junior Hockey League championship series, the Thunderbirds hit the road for a Monday, April 22nd matchup in Hearst, Ontario at the Claude Larose Arena against the east division Hearst Lumberjacks. The Soo is coming off a 4 – 2 game five win in Sault Ste Marie on Saturday, April 20th over the Lumberjacks. With 3.4 seconds remaining in the second period, Thunderbird forward Nolan Ford slides the opening goal under Hearst netminder Nicholas Tallarico to give the Soo a 1 – 0 lead. Kobe Seguin and Spencer Van Tiem drew the assists on Ford’s third of the postseason. With one second left in game six and Tallarico on the bench for an extra Lumberjack attacker, Lucas Theriault sinks his eleventh of 2019 playoffs into a Hearst empty net for the insurance goal for the win in a penalty-free game six. Thunderbird goaltender William earned his first shutout of the 2019 playoffs with stopping 36 of 36 shots in the Soo’s 2 – 0 while Lumberjack netminder Nicholas Tallarico turned away 22 of 23 shots in the game six loss in Hearst. “It was a great feeling coming back from being behind 3-1 in the series but it’s not over yet. The boys need to rest up and make sure we are ready for Wednesday,” said Thunderbird Lucas Theriault. 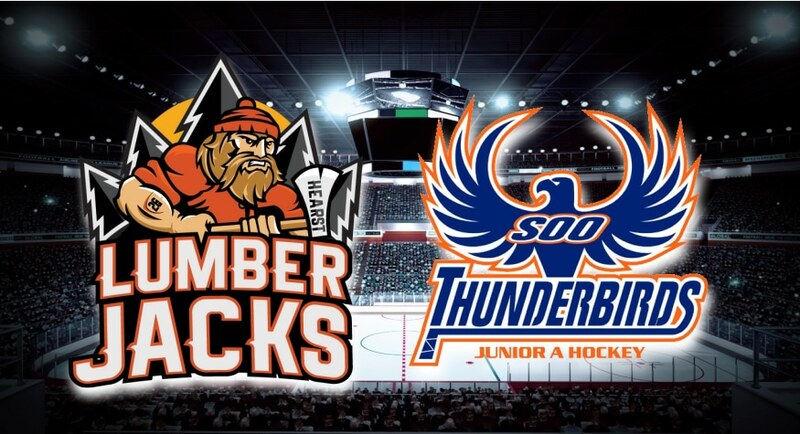 The Thunderbirds will now host the Hearst Lumberjacks in Sault Ste Marie on April 24th at the John Rhodes Centre for a 7:00 p.m game seven puck drop. The winner of game seven will join the 2019 Dudley Hewitt Cup hosts, the Cochrane Crunch as the NOJHL representative in Cochrane from April 30th to May 4th. 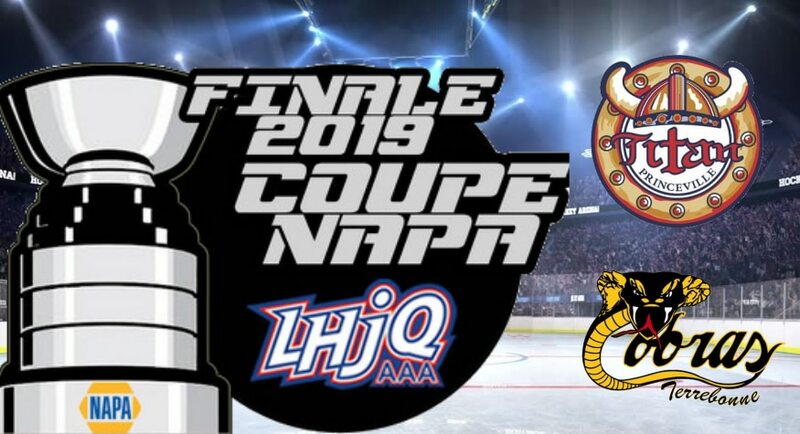 In Terrebonne, Quebec on April 16th, the Les Cobras de Terrebonne hosted the Princeville Titans in game one of the 2019 Ligue de Hockey Junior du Québec La Coupe NAPA. 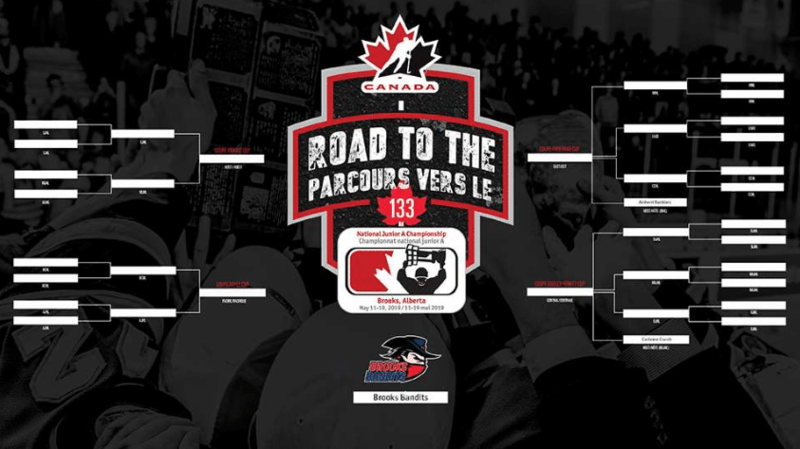 Game two will now take place on Thursday, April 18 with a 7:30 pm puck drop with the Les Cobras de Terrebonne facing the Princeville Titans at the Paul-de-la-Sablonnière Sports Center in Princeville, Quebec. 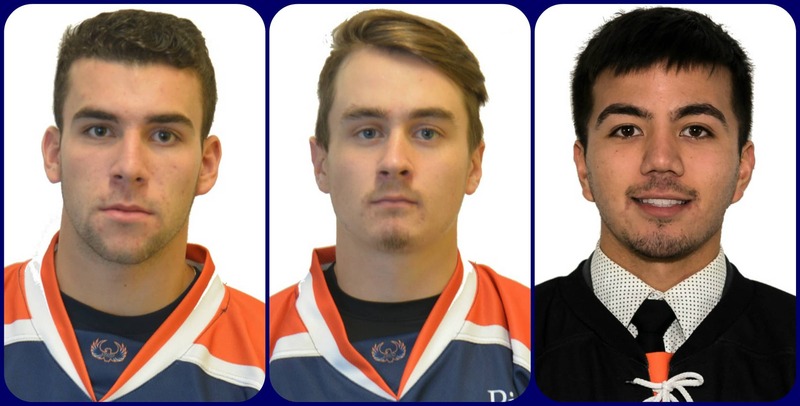 The Northern Ontario Junior Hockey League announced Monday, April 15th that Soo Thunderbirds forwards Lucas Theriault and Noah Boman, along with goaltender Nicholas Tallarico of the Hearst Lumberjacks have been named its Three Stars of the Week for the period ending April 14th. LUCAS THERIAULT, (F) SOO THUNDERBIRDS – Theriault continued his scoring prowess for his hometown Sault Ste. Marie side last week. He began by dishing out a pair of assists, including one on the game-winner, as the Thunderbirds claimed the NOJHL’s West Division playoff crown over Rayside-Balfour. Heading into Game 1 of the finals, the 19-year-old notched the deciding marker and helped set-up another tally in a 3-2 triumph. Theriault also scored once more in a Game 2 setback against Hearst. Presently riding a five-game point streak, he sits tied for the league postseason scoring lead with 20 points, including nine goals. NOAH BOMAN, (F) SOO THUNDERBIRDS – Boman too has points in five straight outings and is just one shy of a share for the overall scoring lead with 19 in total.Among the efforts of the 18-year-old, who is also from Sault Ste. Marie, was picking up helpers in all three contests the Soo skated in during the time frame as well as scoring once. His 13 helpers pace all NOJHL players to date in the playoffs. NICHOLAS TALLARICO, (G) HEARST LUMBERJACKS – Continuing to keep the Lumberjacks in every game, Tallarico has helped his squad earn a road split to commence the league championship series heading home to Claude Larose Arena for Games 3 & 4 Wednesday and Thursday. 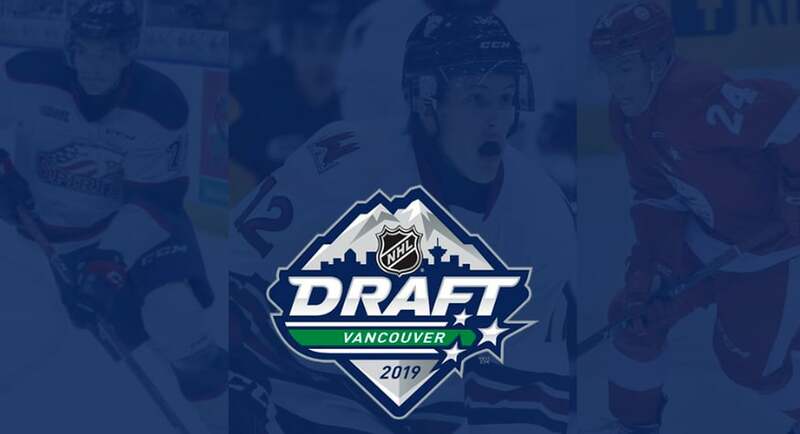 Having faced the most shots against so far in the 2019 playoffs at 406, the now 21-year-old stopper from Vancouver, British Columbia has nine victories to his credit, which ties him for the NOJHL lead with Colin Ahern of the Thunderbirds. Tallarico also picked up an assist in Sunday’s Game 2 triumph in the Soo. 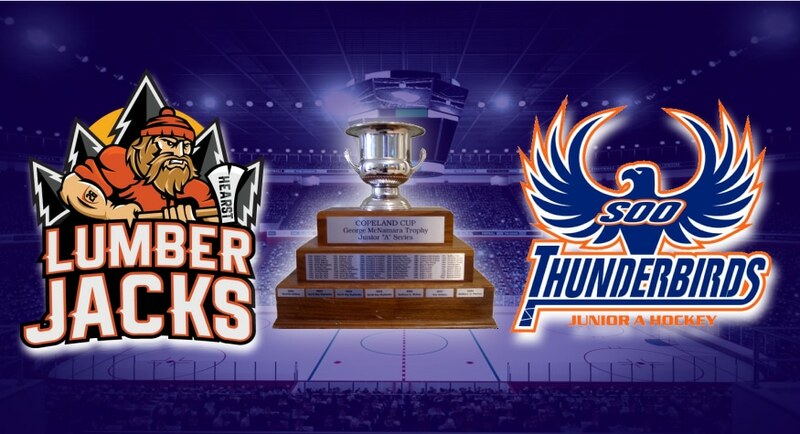 On April 13th in Sault Ste Marie, Ontario, the west division champions, the Soo Thunderbirds hosted the east division champions, the Hearst Lumberjacks in the 2019 Copeland McNamara Cup game one best of seven Northern Ontario Junior Hockey League final. 5:43 into the opening period and shorthanded, Garrett Giertuga fires an unassisted goal with a wrist shot past Thunderbird goaltender Colin Ahern’s left pad after a Lumberjack breakaway to give Hearst a 1 – 0 lead. At 12:29 of the period, Lucas Theriault fires a cross-ice to Noah Boman to pull the Soo even 1 – 1 to find the back of Lumberjack netminder Nicholas Tallarico. With a Soo on a power play with 2:03 remaining in the period, veteran forward Nick Smith sends the Thunderbirds into the second intermission 2 – 1 with a slapshot from the right faceoff circle. Noah Boman and Steven Bellini had the helpers on Smith’s go-ahead goal. At 15:17 of the middle stanza, Lucas Thierault breaks in alone on a Thunderbird breakaway to increase the lead to 3 – 1 with Noah Boman drawing the contributor on Theriault’s eighth of the postseason. With time ticking down, Lumberjack Bradley Golant finds the back of Ahern’s net for the final goal of the contest from the right of the Soo’s net with 45 seconds left in game one. Max Griffioen and Troy Daniels notched the assists on Golant’s fifth of the 2019 playoffs. Nicholas Tallarico stopped 32 of 35 shots in the Lumberjacks game one loss while Colin Ahern turned away 32 of 34 shots in Thunderbirds 3 – 2 win. Saultsports photographer Bob Davies of game one between the Thunderbirds vs Lumberjacks in NOJHL action (coming soon). The Soo take a 1 – 0 lead into April 14th game two against the Lumberjacks in a 5:00 p.m puck drop. John Rhodes Community Centre in Sault Ste. Marie, Ontario will be the site Saturday at 7:00 p.m as the Northern Ontario Junior Hockey League championship series between the Soo Thunderbirds and Hearst Lumberjacks begins as the two sides commence their quest for the Copeland Cup – McNamara Trophy. This marks the first-ever playoff meeting between the Thunderbirds and Lumberjacks, who both finished atop their respective divisions in the league. HOW THEY ARRIVED: For the Soo, who claimed the NOJHL’s regular season title with a league-best 44-11-0-1 overall record, they punched their ticket to the final after taking the West Division playoff crown. They won their first two playoff match-ups with identical 4-2 series triumphs over both the Blind River Beavers and the Rayside-Balfour Canadians. As for Hearst, they finished with the second-best mark in the league during the campaign as they went 33-16-6-1 overall to claim their initial East Division title with 73 points. The Lumberjacks enter the final on an impressive run, having won seven consecutive contests. After falling behind three games to one to the Timmins Rock, Hearst reeled off three straight triumphs to win that best-of-seven, that went the distance. They then went on to sweep the Powassan Voodoos to claim their initial East postseason title. HEAD-TO-HEAD: The two teams met just twice during the course of the campaign, with each club coming away with a victory apiece on home ice. The Soo won 4-3 at John Rhodes back on October 27th with four different skaters scoring for the Thunderbirds, including Nolan Ford’s game-winner nine minutes into the third period. All three Hearst markers were provided via the power play in that one. Picking up the win goal for the Thunderbirds was William Anderson as he made 20 stops in the triumph while Tomi Gagnon faced 21 attempts in defeat. Countering, it was the Lumberjacks who prevailed in their second meeting just five nights later as NOJHL MVP Nicholas Tallarico was stellar in a 43-save shutout decision over the Soo at Claude Larose Arena. That contest was scoreless until 3:25 of the third when Bradley Golant notched the eventual difference maker during a man advantage opportunity. He also rounded out the scoring with a late empty netter. Anderson was also between the pipes for the Thunderbirds in that match-up, allowing two on 21 shots. The trio of Nick Smith, Noah Boman and Matthew Bazarin paced the Soo offensively vs. Hearst with a goal and an assist each. As for Hearst, it was Golant, Jake Desando and Cameron Clark that led their side vs. Sault Ste. Marie as they each picked up three points. SCORING: Lucas Theriault continues his solid season as he leads all playoff performers in scoring with 17 points on seven goals and 10 assists. Right behind him is Max Johnson of Hearst with 16 points, including a league-best 10 tallies. Noah Boman of the Soo sits tied for fourth with 15 points while the Lumberjacks Golant is close by with 16, as his 10 helpers knots him for the NOJHL postseason lead in that department. Spencer Van Tiem of the Thunderbirds is also in the Top 10 in playoff scoring as he shares seventh overall with 13 points to his credit, entering the finals. Theriault and Boman tied for the league-lead in points during the regular season with 76 apiece. Theriault was tops in tallies with 40 and game-winning goals with nine while Boman led in assists with 52. Of note, of the nine goals Spencer Van Tiem had on the year, five of them were game-winners, which tied him for fourth in the NOJHL in that category. GOALTENDERS: Both Colin Ahern of Sault Ste. Marie and Nicholas Tallarico share the league lead in playoff wins with eight apiece. Ahern sports a 2.47 goals-against average in the playoffs while Tallarico is not far off at 2.51. They are also close in save percentage with Tallarico sporting a .912 mark and Ahern is at .910. The Soo duo of Ahern and Anderson won the NOJHL’s Team Goaltending Award for allowing the fewest goals-against during the regular season at 145 and combined to register 44 wins overall. Tallarico saw the bulk of the work during the regular season for the Lumberjacks as he produced a 24-10-5-1 record along with three shutouts. SPECIAL TEAMS: Hearst went three for 11 vs. the Soo on the power play in their two get togethers while the Thunderbirds went two for 11 against the Lumberjacks. So far in the playoffs Sault Ste. Marie boasts a 21.2% success rate on the man advantage while Hearst sits at 17.9%. TEAM PLAYOFF NOTES: Hearst leads the league in overall playoff attendance to date at 5,822, averaging 970 fans per game at Claude Larose Arena. … Lucas Theriault leads the NOJHL in power play assists in the playoffs with seven. … He is also tied with Noah Boman for top spot in postseason points, via the man advantage, with eight. … Brendan Miller of the Soo leads all skaters in game-winning goals with three. … Nicholas Tallarico has played the most minutes in net at 718 while Colin Ahern is next at 704. … Troy Daniels sits second in scoring among defencemen as the Hearst blueliner has eight points. … Steven Bellini of the Thunderbirds is knotted for fifth with a half dozen points. 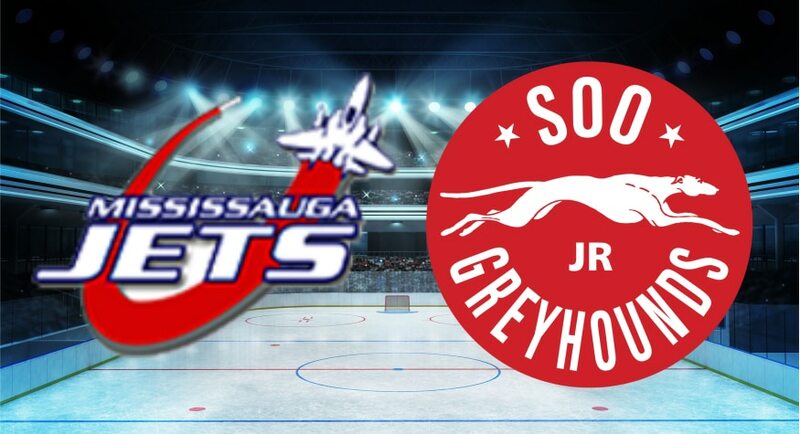 … The Soo is four and two at home, and on the road, so far in the playoffs. … As for Hearst, they are 5-1 at home and 3-2 as the visitor. … The Lumberjacks are 2-2 in overtime while the Thunderbirds are 0-1. … The Soo is 7-2 when scoring first in the postseason and Hearst is 4-2. … The Thunderbirds are 5-1 when leading after one period of play and a perfect 7-0 when up after 40 minutes. … As for the Lumberjacks, they boast a 4-2 mark when up through one and are unbeaten at 6-0 when leading heading to the second intermission. … Nolan Ford of the Soo has a modest three-game assist streak in tact while Max Griffioen has points in four in a row. … With seven consecutive victories to their credit, Hearst sports the longest in the NOJHL since the Powassan Voodoos reeled off 12 straight wins back in 2017 en route to a league championship. … The Thunderbirds also had seven straight triumphs in 2016 as they did in 2015. … Back in 2014 and 2013, the Soo racked up nine wins in succession in the playoffs. WHAT’S NEXT: The NOJHL winner will advance to the Dudley-Hewitt Cup Central Canadian Jr. A Championship, April 30 – May 4, in Cochrane. All contests in the NOJHL final will be streamed live online at HockeyTV.com.